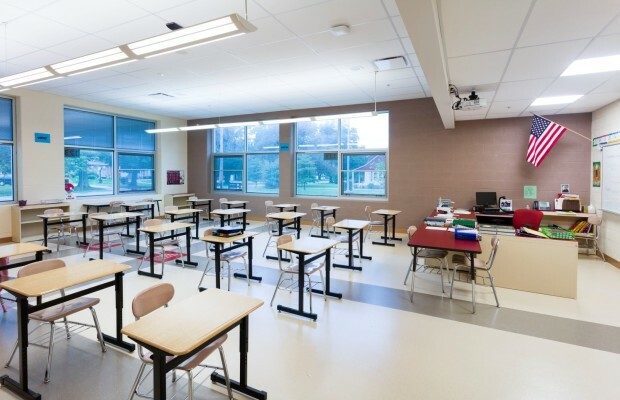 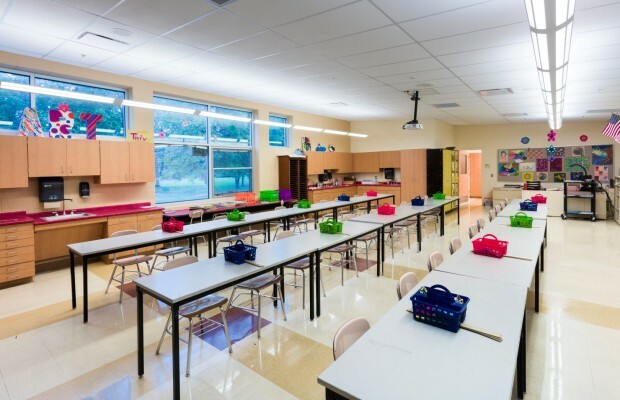 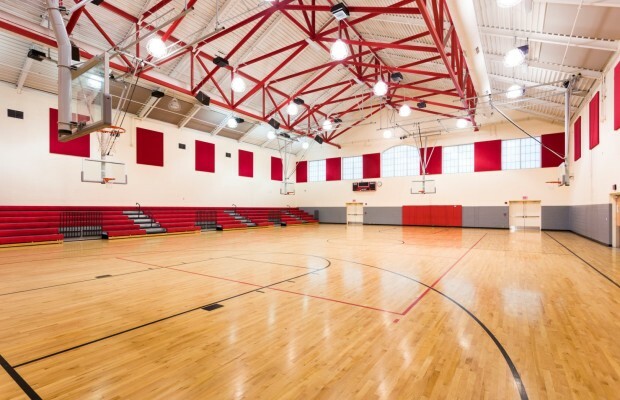 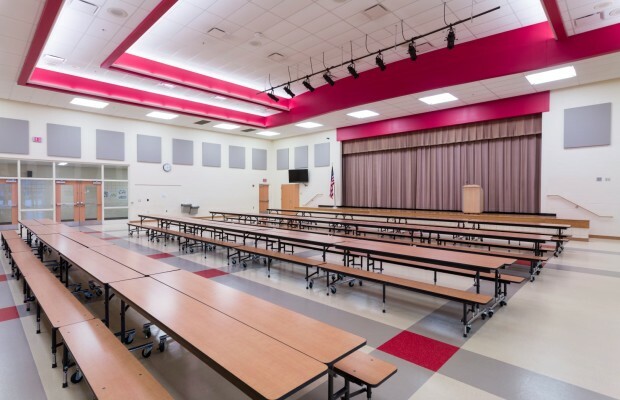 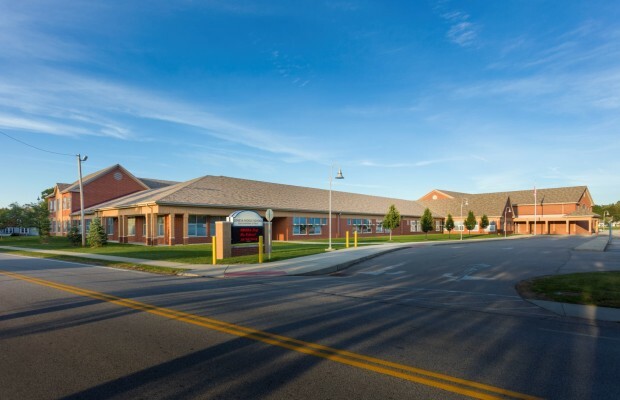 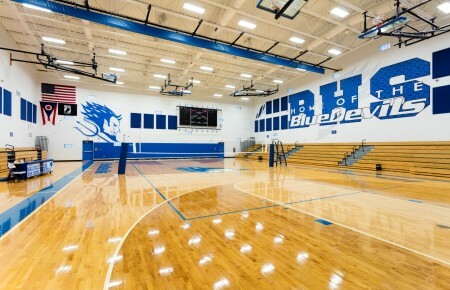 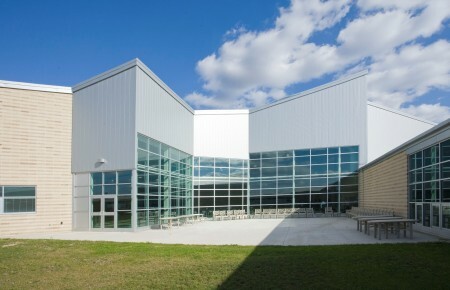 Geneva Middle School | BSHM Architects, Inc. The new Geneva Middle School was constructed on the site of the original Geneva Jr. Sr. High School. 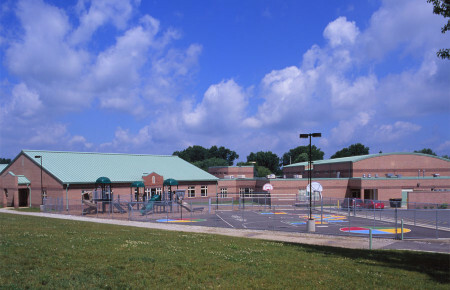 Portions of the existing building that were vacated after the District built a new High School, were repaired and used as a swing space for Middle School students. 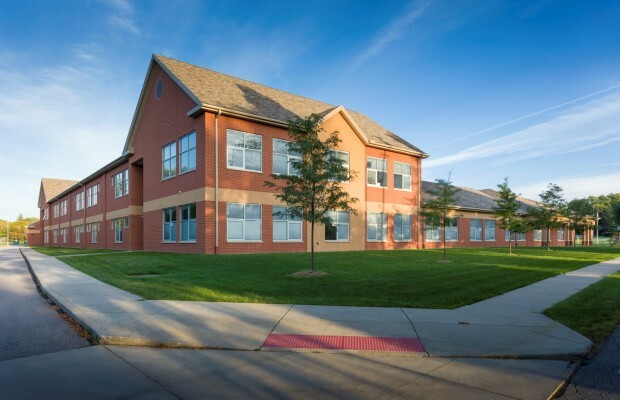 A sequenced demolition/construction schedule allowed students to stay on site as the new building was completed in phases and occupied. 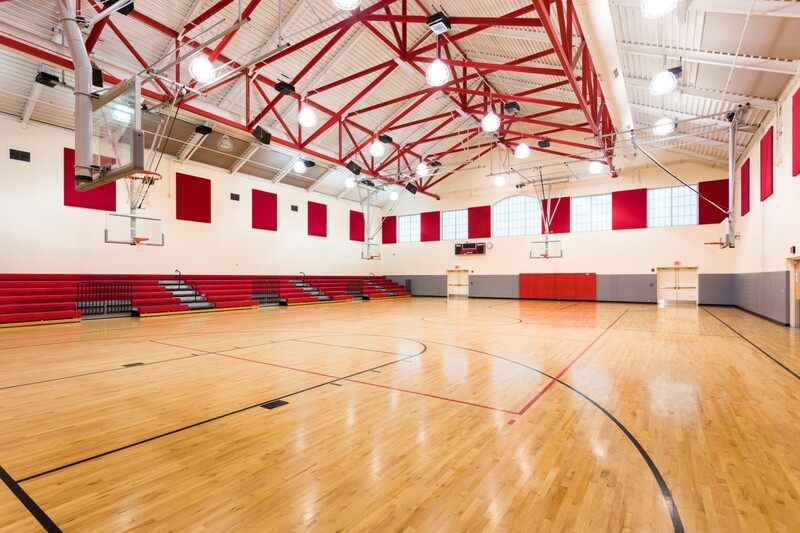 The 25 acre site includes a football/soccer field, baseball field and tennis courts. 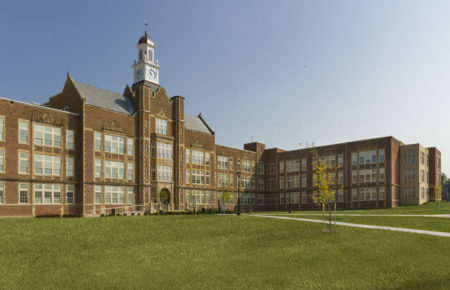 The plan maps a “U” shaped academic wing around a courtyard with Administration, Media Center, Student Dining, Physical Education and Music closing the courtyard. 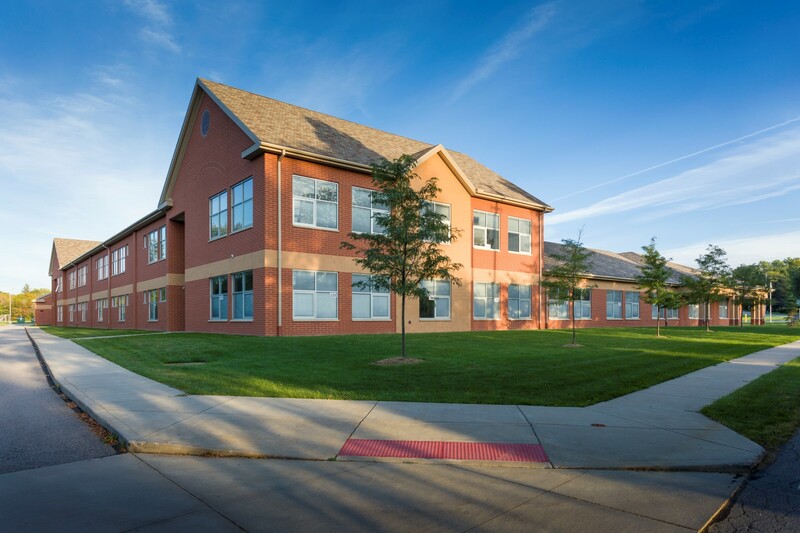 The LEED Silver Certified 104,750 SF project utilizes numerous sustainable strategies including a geo-thermal HVAC system.